With the modern way of fashion business and the widespread operations of Blender Agency, its allows few periods of pure office work and the first quarter of every year, is particulary exciting and hectic. After going to Florence for Pitti Uomo, most of the sales team went straight to Paris for the mens AW13 sales and woman's pre-collections. The Diemme Footwear team had it's own mission, exhibiting at Capsul(e) Paris, on the banks of river Seine. Our represenation for the Paris weekend, in addition to Diemme, was for Alexander Wang, Rag & Bone, Marc by Marc Jacobs, McQ, and IRO. In Paris, very much of the fashion scene is centered around the cosy Marais area (3rd arr), where dozens of art galleries are transformed into temporary showrooms during market, for the international fashion elite. The area has numbers of good restaurants, and combined with good shopping and the weekly street flea market, we give it our recommandtion as a go-to area when visiting Paris. 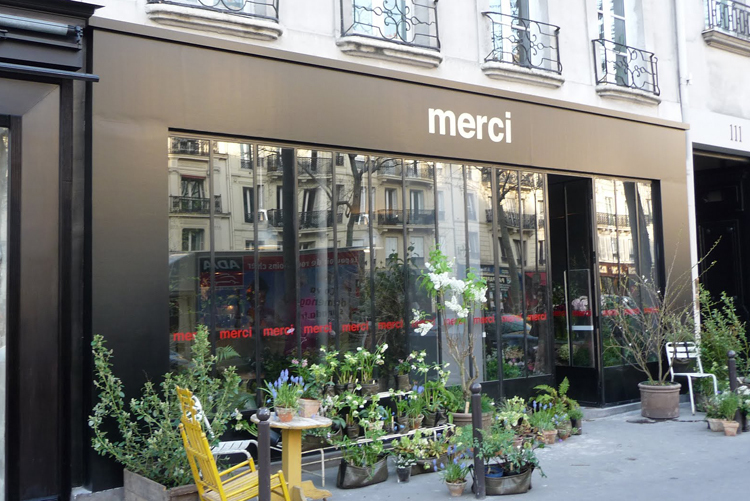 Merci - Great lifestyle store, with a nice selection of clothing, in addition to homewear and literature. Great place to start the day, they serve breakfast. French Trotters - After the recent move to a new location, this Marais staple, has expanded their offering to also include womanswear. Nice selection of international and local brands, including Diemme. Carhartt WIP (57 Rue du Temple - 3e) - The lastest addition to the Carhartt WIP empire, the new Marais store opened during mens fashion week, with a in-store collaboration with Japanese Soph. The beautifully laid out store is created by arcitecht Laurent Deroo, who previsouly worked with APC. While most of Blender Agency headed back to Oslo, the Diemme sales team headed with The Open Skies flight from Orly, brought the collection safe to New Ark, and after a day travelling, Capsul(e) New York took place on Tuesday the 22nd and Wednesday the 23rd of January. Capsul(e) New York is hosted at Basketball City (Pier 36), at the banks of East River, and is double the size of the Paris version. The primarily focus is to attract US and Canadian buyers, but also the occasional Mexican or as this time, a store from Almeta, Kazakstan. A great thing about coming to New York, is the convenience of life. The hotel standard is non-comparable, and if you include the excellent staff service in the equation, you can figure New York is a dream for a freuent traveller.